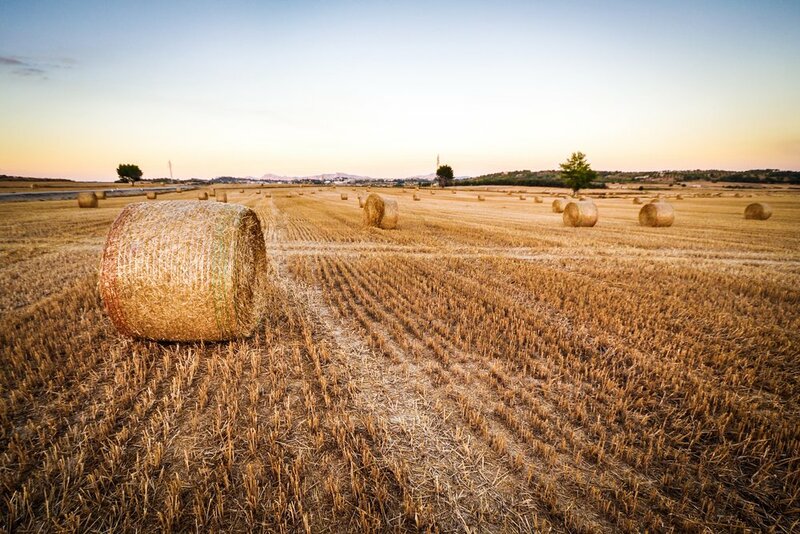 Earth Economics provides a range of consulting services, groundbreaking economic research, and technology innovations to help organizations, investors, policy makers, and foundations make better decisions. Explore our services to see how you can take communities, nature, and economic vitality into account. 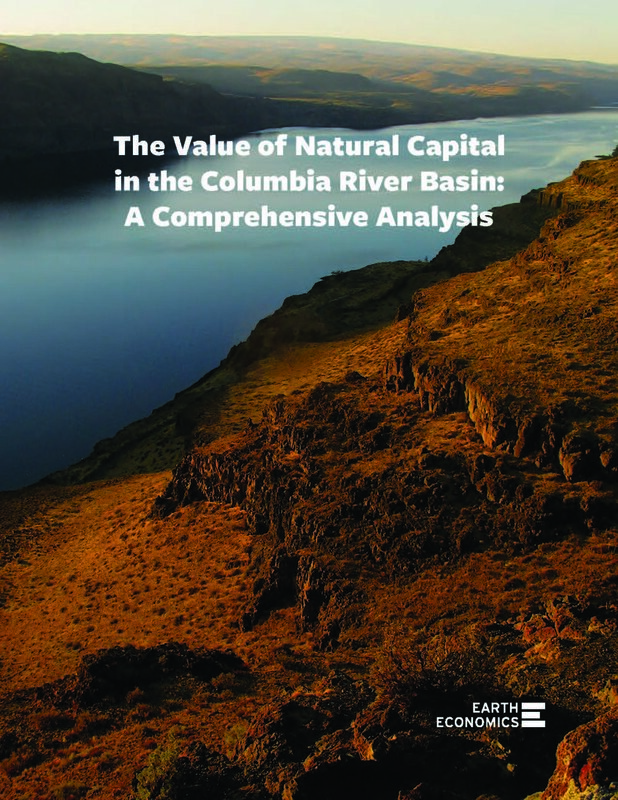 The Columbia River Basin (CRB) is globally recognized for its abundant watersheds and rivers that founded unique natural assets and capital including immense forests and other native vegetation, the largest salmon runs in the world and diverse and abundant wildlife. 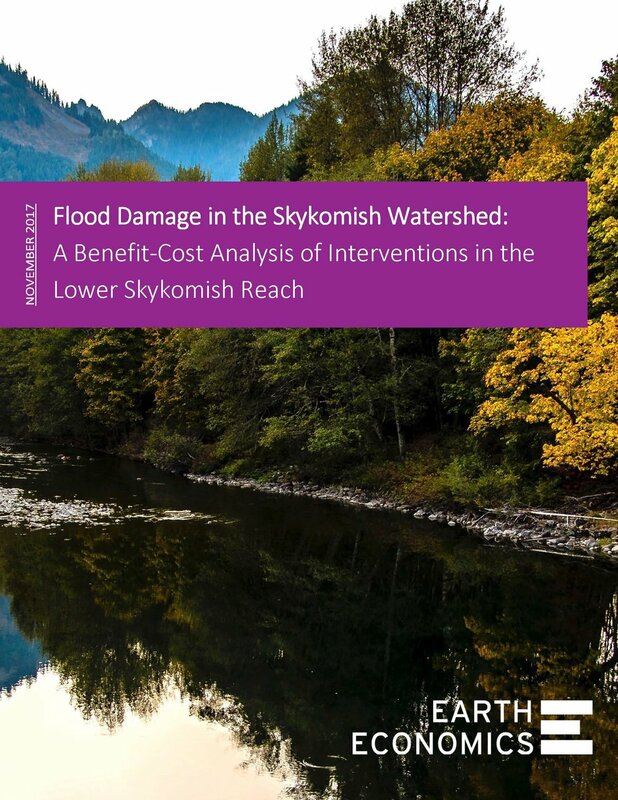 This report explores the value of floodplains and attempts to explain how the nation’s rivers and floodplains have become physically disconnected, leading to loss of floodplain functions. 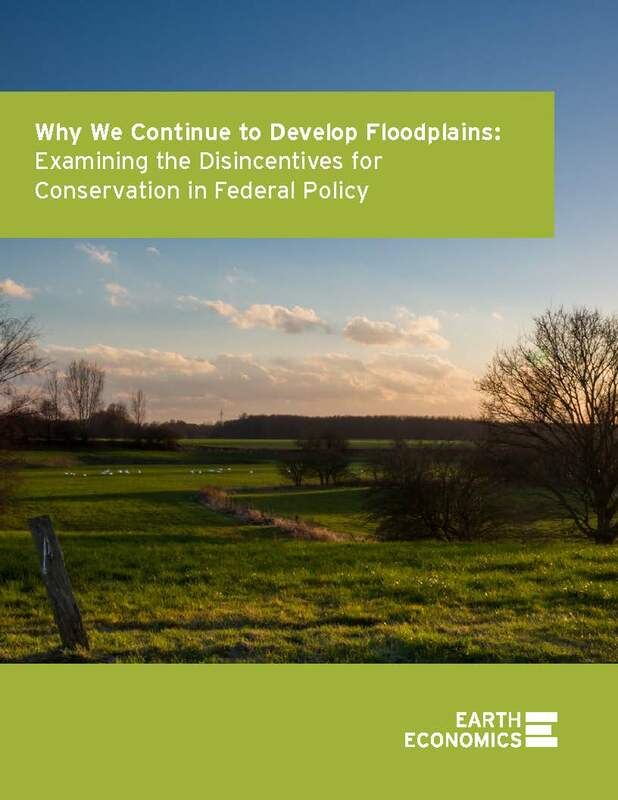 With federal agencies now incorporating the value of natural infrastructure, or ecosystem services, into federal planning and decision-making, there are opportunities as never before to examine and change the disincentives for floodplain conservation. Snow is a particularly important feature of the water cycle in the Basin, and affects human wellbeing and the economy in every phase, whether snowfall, snowpack, or snowmelt. 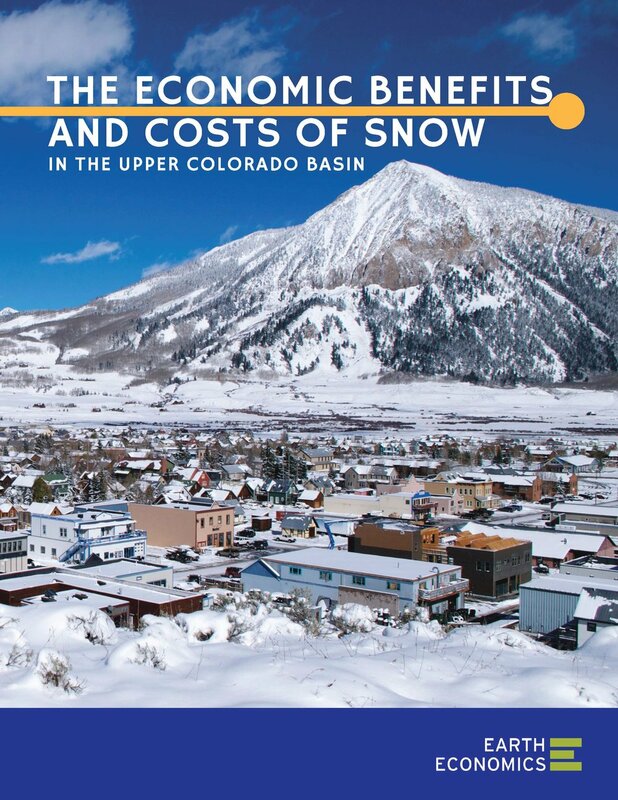 The following sections describe many of the economic benefits and costs associated with snow and snowpack, with a focus on the Upper Colorado Basin (UCB). We explore some of the ecological and economic changes that can be expected from climate shifts, and discuss their significance throughout the UCB (and beyond). 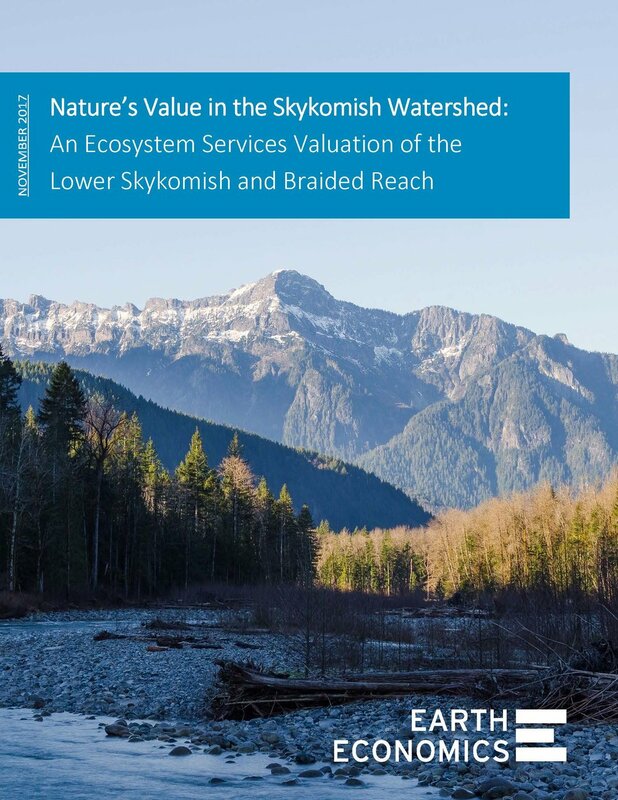 The Skykomish River is a critical part of Snohomish County’s ecosystem and economy. As a central source of clean water in the Snohomish Watershed, the river provides an array of natural goods, including agricultural products, salmon, timber, and drinking water. Moreover, the river provides services critical to the vitality of the county’s economy, including food production, recreation opportunities, water filtration, and natural beauty. The Lower Skykomish, fed by a corresponding sub-basin, comprises a critical area of the lower Skykomish River, particularly for local farmers. The City of San Juan, Puerto Rico, is part of the 100 Resilient Cities (100RC) initiative, a global effort to strengthen cities’ capacities to adapt, grow and thrive when faced with shocks and long-term stresses. San Juan Resiliente is particularly focused on strengthening city systems’ capacity to reduce individuals, communities and institutions’ exposure and susceptibility to impacts, while increasing their access to the knowledge, tools and resources for autonomous adaptation. The Skykomish River is a critical part of Snohomish County’s ecosystem and economy. As a central source of clean water in the Snohomish Watershed, the river provides an array of natural goods, including agricultural products, salmon, timber, and drinking water. Moreover, the river provides services critical to the vitality of the county’s economy, including food production, recreation opportunities, water filtration, and aesthetic value. The Lower Skykomish and Braided Reaches, each fed by a corresponding sub-basin in the Snohomish Watershed, comprise a critical area of the lower Skykomish River, particularly for local farmers. 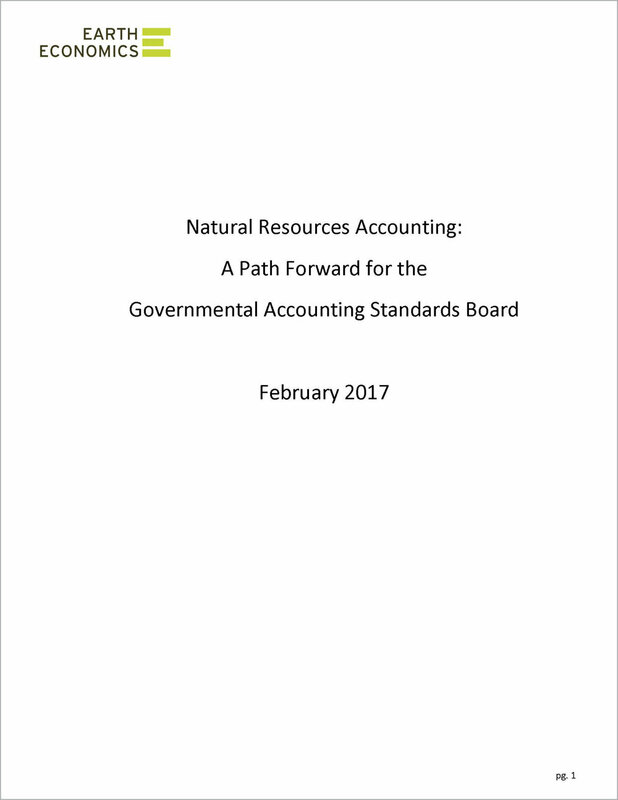 This report summarizes a number of opportunities for GASB (and in some cases, FASB) to get ahead of these emerging issues. Some issues can be resolved quickly and with little additional guidance, while others will require more time and guidance, but can ultimately be solved. The South Platte River Watershed provides extensive value, approximately $7.4 billion per year in ecosystem services, to the economy and people of the watershed. In 2010, Nicaragua illegally dredged a canal through the Isla Calero wetlands (also known as Isla Portillos or Harbour Head Island), a tract of land belonging to Costa Rica. Dredging harmed many ecosystem services, from timber to flood protection to erosion control. In 2016, the government of Costa Rica submitted a monetary valuation of environmental damages assessed in a pro bono report created by our partners, Fundacíon Neotrópica. The Nicaraguan government has since challenged the damage assessment ($6.7 million) and the validity of Fundacíon Neotrópica’s use of an “ecosystem services approach,” stating that the damages assessed are too high. 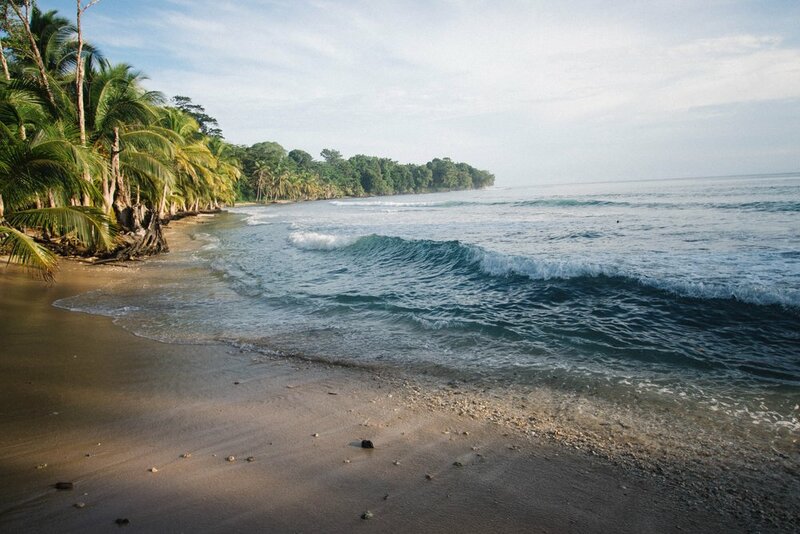 At the request of Costa Rica’s Deputy Minister of Foreign Affairs, Earth Economics wrote a letter to the Costa Rica government supporting ecosystem services valuation as an appropriate method for assessing environmental damage and estimating compensation. 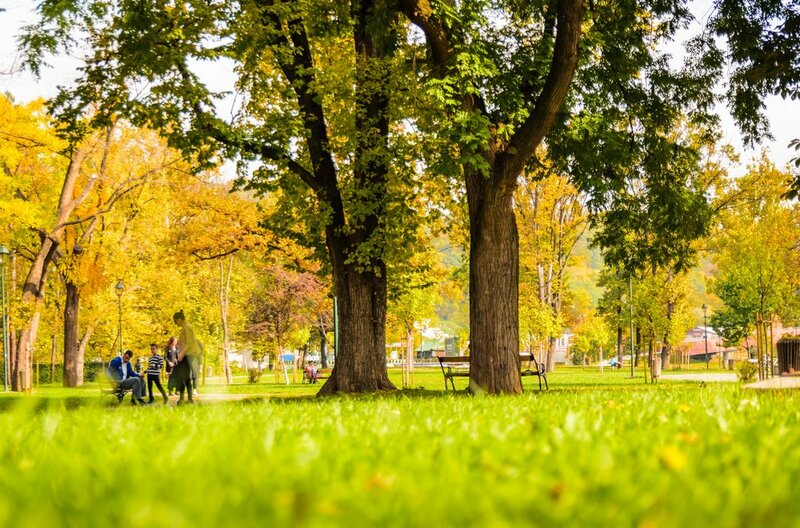 Earth Economics helped make a strong case for investing in green infrastructure. We contributed case studies to American Rivers’ Naturally Stronger report, which describes how investing in green infrastructure produces multiple benefits: economic, environmental, and social. 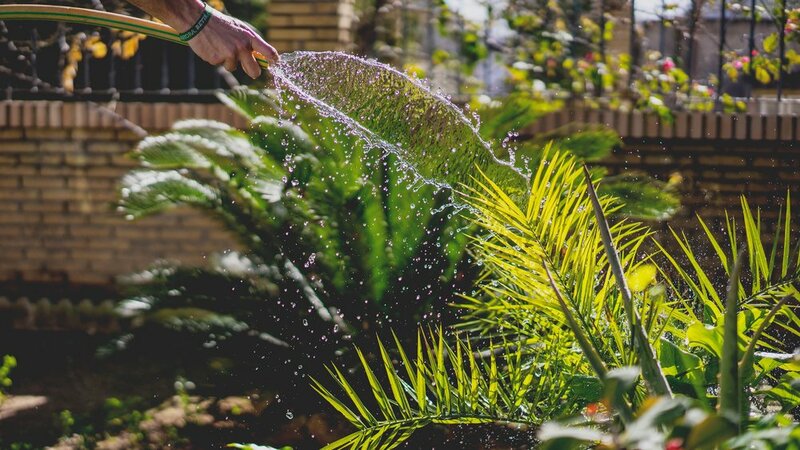 In addition to improving the natural function of our water systems, green infrastructure can reduce some our country’s most persistent inequities. Earth Economics assessed the true cost of a wildfire to reveal smarter land management decisions. As elsewhere in the West, the Santa Cruz Mountains are becoming more vulnerable to wildfires. Understanding the costs of these fires can help planners and developers act to prevent future damages. The Santa Clara Valley Open Space Authority (OSA) requested a comprehensive cost analysis of the September 2016 Loma Fire in Santa Clara County to better understand the nature of the damages as well as to prompt discussion about policies and land management measures that could reduce the scale, impacts, and cost of future wildfire events. The Thurston Climate Adaptation Plan is an important step toward ensuring community resilience and economic sustainability. As part of this plan, the Thurston Regional Planning Council is considering several actions to prepare for climate change impacts. This report provides a holistic benefit-cost analysis (BCA) for two climate adaptation actions that go beyond traditional economic measures to take nature’s services into account. To view a full list of Earth Economics' publications since 1999, please visit our Publications Archive.